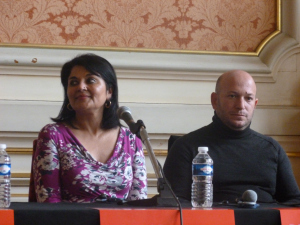 Kishwar Desai and Dror Mishani in Lyon, 2015. Crime fiction seems to be most popular in the countries where crime rates are low – perhaps because it is easier to read about terrible things happening when the truth around you is not stranger and more horrible than fiction. But what about those countries where the police is treated with suspicion, where there is no tradition of private detectives and where there is little hope of real justice (as opposed to vengeance)? 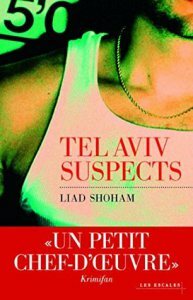 There was a panel at Quais du Polar in Lyon about this very subject, with authors from Russia, Costa Rica, Israel and India represented. I bought both of these books in Lyon: Liad Shoham was there in 2014, while Kishwar Desai was there this year.